The Yamaha Arius YDP S52 Digital Piano is a stylish and compact high-quality digital piano with plenty to offer for beginners and experienced players alike. 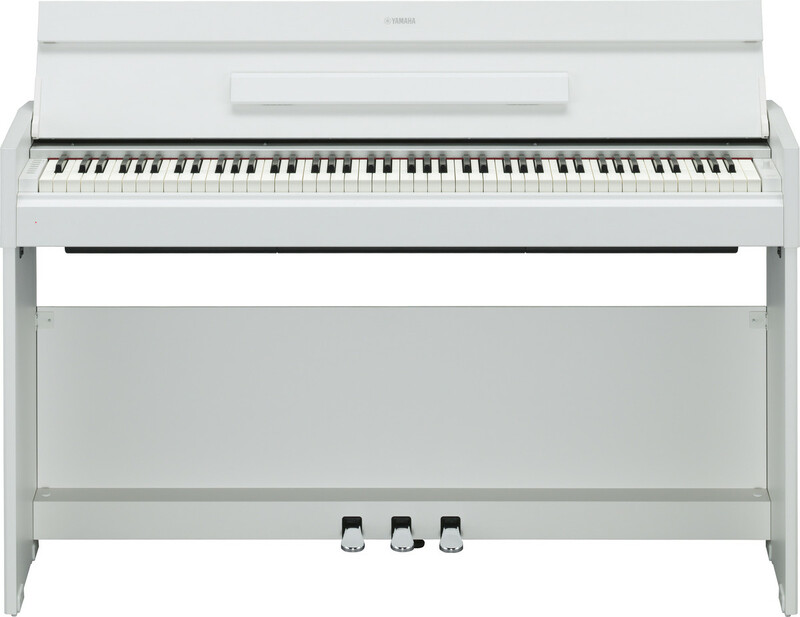 Featuring a synthetic ivory graded hammer keyboard and powerful Pure CF sound engine, the YDP S52 offers supreme piano performance, with an elegant modern design and attractive white finish certain to light up your living room. The YDP S52 is equipped with a number of features to make your performance sound as enriching as possible. Unique to Yamaha, the Stereophonic Optimizer adjusts the spacing of the sound and the separation from the piano when listening via headphones, resulting in a spacious sound that will inspire you to play for hours at a time. At low volumes, bass and treble used to be difficult to hear, however the YDP S52 is equipped with Intelligent Acoustic Control which adjusts the sound automatically. This allows players to enjoy balanced sound at any volume level. The body of the YDP S52 contains Acoustic Optimizers that regulate the flow of sound and control tone. A new technology developed from Yamaha's knowledge of the organic instruments, Acoustic Optimizers deliver a natural tone across the entire keyboard. 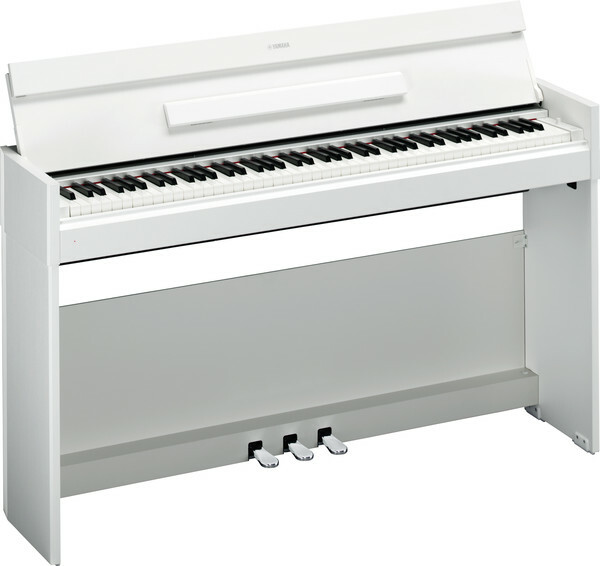 Enjoy authentic grand piano playability with the feel of an ivory keyboard. Highly absorbent materials ensure that the keys retain their superb feel even when playing for extended periods of time. This keyboard will become instantly familiar to musicians who are accustomed to playing acoustic pianos, allowing for a quick transition.